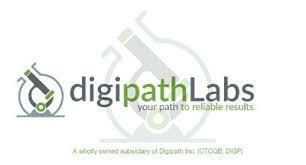 LAS VEGAS, NV--(Marketwired - Dec 13, 2016) - Digipath, Inc. (OTCQB: DIGP), an independent cannabis lab testing and media firm, is pleased to announce that Digipath Labs, a wholly owned subsidiary of Digipath, Inc., has been awarded the Emerald Test Badge for both potency and microbial screening, following administration of the Fall 2016 ring test to 28 cannabis testing labs in the United States. The Emerald Test® uses the standard Inter-laboratory Comparison Proficiency Testing (ILC/PT) program for evaluating how accurately and dependably testing labs perform, by comparing how well the lab measures anonymous samples. ILC/PT programs are common in many testing industries, including environmental, food, pharmaceutical, water and petrochemical, providing a point of reference on how well the testing labs are performing individually and as a group. Individual labs can use their ILC/PT results to either verify proficiency to their customers and state regulatory bodies or to point out analytical tests needing further validation effort. The Emerald Potency Test requires the quantitative determination of five cannabinoids: THC, THC-A, CBD, CBDA and CBN in methanol between 10-1,000 µg/ml. The Emerald Test Advisory Panel uses a criteria of scoring within 2 standard deviations on cannabinoid analytes to determine which labs receive an Emerald Test Badge, which can be used to demonstrate the lab's proficiency and commitment to a higher standard of excellence in Cannabis Testing. The Emerald Microbial Tests were administered in two separate panels provided to testing labs. Panel 1 was supplied as a 4 individual sample panel for quantitative determination of aerobic plate count (APC), Coliform/E.coli, Yeast/Mold and Enterobacteriaceae. This year, samples were prepared with natural hemp leaves and flowers inoculated with microorganisms and supplied in a lypholized format for stability. Panel 2 was supplied as a 3 sample panel for qualitative identification of Salmonella spp. in hemp. Only one of these samples was positive for salmonella. Two of the samples of the panel contained non-pathogenic, non-salmonella species. The Emerald Test Badge results provide a measure of assurance and reliability to the industry as a whole, and particularly to those who depend on the testing lab's results for safety, health, and product performance. This press release contains "forward-looking statements" that include information relating to future events, and future financial and operating performance. Forward looking statements should not be read as a guarantee of future performance or results, and will not necessarily be accurate indications of the times at, or by, which that performance or those results will be achieved. Forward-looking statements are based on information available at the time they are made and/or management's good faith belief as of that time with respect to future events, and are subject to risks and uncertainties that could cause actual performance or results to differ materially from those expressed in, or suggested by, the forward-looking statements. Important factors that could cause these differences include, but are not limited to: the Company's need for additional funding, governmental regulation of the cannabis industry, the demand for the Company's products, the introduction of new products, the Company's ability to maintain customer and strategic business relationships, the impact of competitive products and pricing, growth in targeted markets, the adequacy of the Company's liquidity and financial strength to support its growth, and other information that may be detailed from time-to-time in the Company's filings with the United States Securities and Exchange Commission. For a more detailed description of the risk factors and uncertainties affecting Digipath, please refer to the Company's recent Securities and Exchange Commission filings, which are available at www.sec.gov. The Company undertakes no obligation to publicly update or revise any forward-looking statements, whether as a result of new information, future events, or otherwise. About this company DigiPath, Inc.